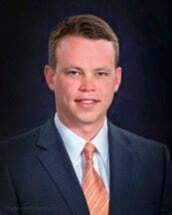 Jamie King is a Partner with the firm's litigation department. His practice is primarily focused on representing individuals, businesses, and business owners in a variety of litigation matters. In addition to his litigation practice, Jamie represents creditors in collection matters as well as businesses from formation through dissolution. A Delaware native, Jamie is a graduate of St. Andrews School (2003) and went on to earn his B.A. in Political Science from Dickinson College in Carlisle, Pennsylvania (2007). After college, Jamie earned his MPA in Public Administration from Wilmington University (2009) and a J.D. from Appalachian School of Law in Grundy, VA (2012). While in law school, Jamie was a member of the moot court team and participated in national competitions on Environmental Law. Jamie also served as a clerk for the Honorable T. Henley Graves in the Sussex County Superior Court while in law school. He was admitted to the Bar of the Supreme Court of the State of Delaware in 2012. Jamie is also a member of the American, Delaware, and Sussex County Bar Associations.